Over the past couple of years, much has been written about the downside from immersing ourselves in technology. From the far too many data breeches to warnings about too much screen time to predictions of artificial intelligence taking over the world, it’s pretty hard to escape. But suppose you really did want to escape. A writer for Gizmodo decided to test that premise and find out what happens if she said goodbye to the big five: Amazon, Facebook, Google, Microsoft, and Apple. Or if it was even possible. Each of the six parts to this story are a little long and can sometimes get somewhat geeky, but I think it’s all worth your time. If you teach high school kids, this would be some good stuff to have them explore as well. I doubt they have any idea how far the threads from even one of these companies are woven into their lives. For myself, I already know that there’s no way I can extract myself from Apple. Not without replacing lots of expensive devices I use every day. Plus Apple Music, iCloud, and who knows what else. Google is another tech giant that would also be hard to leave completely. Even if I switched to Duck Duck Go for search, stopped using the Chrome browser, and relied on Apple Maps for directions,2 their code is still in the background of practically every site on the web. They’ve become very good at tracking me. The same is true for Amazon. Even if you never bought anything from the company (or any of the many companies they’ve bought), their Amazon Web Services hosts tens of thousands of other websites. Even some of their retail competitors. They’re also very good at tracking people, even into the real world. The segment on Microsoft surprised me a little. I thought I had cut the cord with them when I left the overly-large school district that employed me. Kill my Outlook account and delete Office. Done. I didn’t realize their software was behind the screen in my car. And then there’s Facebook. I have an account that I open infrequently, usually to see photos from friends and family, and to catch up with the latest strips from Bloom County. Despite never posting anything original,3 I still see evidence of Facebook lurking all over the web. Anyway, as I said, take some time to read this series. Even if you have no interest in escaping from any of these tech behemoths, everyone needs to understand how they are collecting and using our data. 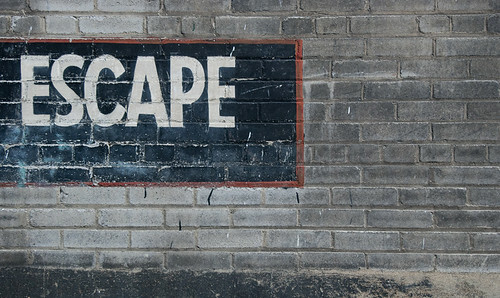 Image: Escape by d76, posted to Flickr and used under a Creative Commons license. 1. I suspect that the average person doesn’t even know what at VPN, virtual private network, is. 2. Apple Maps is actually excellent, certainly much better today than it was when introduced almost seven years ago. Google’s Street View, however, is still the most compelling reason to stick with their mapping service. 3. I have a few images on Instagram, posted before Facebook bought them, and I regularly open that app because that’s where some photographer friends post their images. In a story about Microsoft’s education event this week, Wired made one good point about instructional technology. That had absolutely nothing to do with instruction. The article’s focus was on the new, simpler version of Windows, called 10 S, that the writer says is aimed at competing with Google’s Chrome OS. Chromebooks have been so successful because they’re hard to hack and easy for IT people to deal with; Windows 10 S appears to at least try doing the same. And that sentence offers one primary reason why technology in the classroom is so screwed up: many, if not most, schools and districts make purchasing decisions based on what will make IT happy. IT wants devices that make their jobs easier, something that is easy to clone, lock down, and control. From a central, remote location, please. The needs and wants of teachers are secondary. And students? Well, we rarely ask them about anything to do with what goes into their education anyway, so their opinion doesn’t count. Certainly there is a place in schools for Chromebooks and whatever Windows 10 S turns out to be.1I’m not at all confident it will be much simpler given Microsoft’s design-by-geeks aesthetic and long history imposing total control. But I strongly disagree that this computing-lite approach is “great news for students”. Windows 10 S and Chromebooks simply represent one more way to standardize and maintain control over the learning process, while appearing to be forward looking. BYOD rolls on here in the overly-large school district. Now in our second year, the progress is not as fast as the very-impatient me would like but at least the direction is forward, so I remain optimistic. While our middle schools and even some elementary schools are doing some great work with integrating student devices, many of the high schools are doing a lot of foot dragging. A recent short discussion with an assistant principal revealed one reason why. 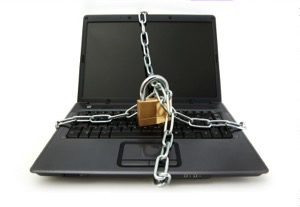 When I asked about BYOD at his school he told me they really hadn’t done much about it. Following up on the why, he gave me some of the usual discipline, “we have no control over what the kids might do” excuses, and I pushed back on all of them. Then he told me that, aside from all that, students probably wouldn’t come with the right software on their devices making them useless for instruction. I wish I understood the reverence felt towards the Microsoft Office package.Â Most people know don’t use more than 20% of the capabilities of Word, maybe a little more in PowerPoint, less in Excel, and I can’t name anyone who willingly opens Access. Anyway, I didn’t have time to explain the error of his approach, one that I expect is pretty common. However, what this AP and other educators need to realize is that it’s far more important to define what it is we want students to be able to do with their devices rather than to think in terms of brand names. When it comes to BYOD, kids should be able to use their devices for writing, accessing and reading information, taking and editing images, and moving their work somewhere. The exact software that gets the job done is irrelevant. I know many teachers are nervous about this lack of consistency and loss of control in their classrooms. Get over it. Let your students be responsible for the technology and concentrate instead on what you want them to learn from and do with those devices. As should always be the case, the learning is far more important than the device. Vanity Fair this month has a long look at how Microsoft has managed to screw up a lot of things about it’s business over the past decade or more. Having been deeply involved with personal computing since the time the company began1, I found the whole thing fascinating. Your mileage may vary. However, there is one section of the article that I think should interest anyone involved with public education. In it the author discusses what she sees as a major cause of Microsoft’s lack of innovation and subsequent decline, a personnel evaluation system used within the company called “stack ranking”. Every current and former Microsoft employee I interviewed–every one–cited stack ranking as the most destructive process inside of Microsoft, something that drove out untold numbers of employees. The system–also referred to as “the performance model,” “the bell curve,” or just “the employee review”–has, with certain variations over the years, worked like this: every unit was forced to declare a certain percentage of employees as top performers, then good performers, then average, then below average, then poor. Now the CEO who signed off on using this “destructive process” (that would be Bill Gates) is considered a “visionary” leader in the education reform movement.Â And he and his billion dollar foundation are advocating for several other similarly adversarial assessment programs for teachers such as merit pay and “value added” rankings. Assessment programs which continue to envision classrooms as discreet spaces sealed off from the rest of the world, and teachers as independent contractors whose work is the only influence on student achievement (aka test scores). I’m certainly not the first person to make the connection between Microsoft’s stack ranking and Gates pushing the idea that teacher assessment should be a more competitive process.Â But that point needs to be repeated as often as possible. The bottom line that Gates and others miss entirely in their efforts to “reform” education is that schools are not businesses and those corporate practices cannot, and should not, be applied to the process of teaching and learning. Especially an evaluation system that has been a major contributing factor to screwing up what was at one time the most valuable company in the US. 1 Although, in all those many years, I’ve never actually bought a Microsoft product or anything containing one. I do have Windows and Office on my MacBook Pro but those licenses belong to my school system.